The outbreak of extensively drug-resistant (XDR) typhoid in Pakistan has now been going on for more than two years. As is the case in most low- and middle-income countries, Pakistan has struggled with limited disease surveillance capacity. In 2006, that started to change, thanks to a US Centers for Disease Prevention and Control (CDC) program called the Field Epidemiology and Laboratory Training Program (FELTP). 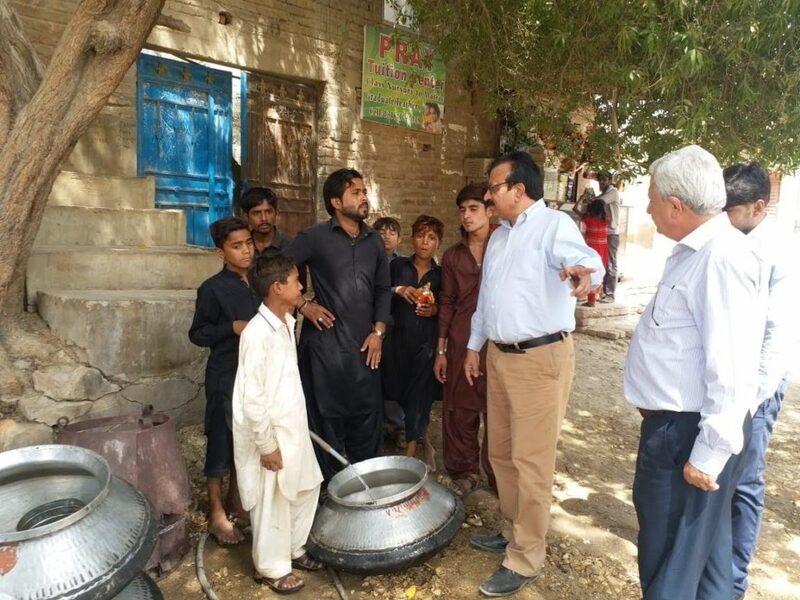 I connected with Dr. Rana Jawad Asghar, who ran FELTP in Pakistan from its inception until December 2018, and asked him about the program’s role with the current typhoid outbreak. LAURA: Can you describe FELTP and your role with it? DR. ASGHAR: Although I got training and work experience in some of the best academic institutions in the world, I always knew that I would return and use this knowledge to improve health in my home country of Pakistan. So in 2006, when I was hired to be the CDC Resident Adviser of FELTP Pakistan, I was excited for the opportunity. FELTP is a 2-year field-based training program for local public health professionals that improves countries’ capacities in disease surveillance and outbreak response. It is based on the US Epidemic Intelligence Service. Over the course of 12 years, we trained a new generation of about 200 local field epidemiologists to build Pakistan’s national disease surveillance and outbreak response. The program had great success and won several awards and recognitions from CDC and the World Health Organization (WHO). Last year, we started a transition process to fully hand over the program to the Government of Pakistan. 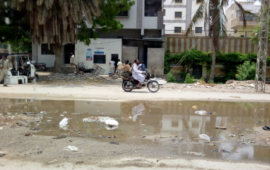 LAURA: Why is typhoid a serious public health issue in Pakistan? DR. ASGHAR: Typhoid has been a problem in the country for quite a long time, and it has been my personal interest from the start of my career. I have experienced it both as a patient and as a doctor working in Pakistan in the late 1980’s and early 1990’s. Typhoid was a major problem in clinical practice then, and it is now, too. 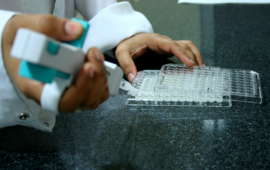 The challenge for physicians treating typhoid is that, due to resource limitations, they usually cannot conduct cultures or antibiotic sensitivity tests. This forces them to use cheap and unreliable tests and to prescribe antibiotics without knowing which ones will work. This is increasing drug resistance. I actually did my master’s thesis on this issue—setting up a study of typhoid diagnostics and treatments in Lahore—when I was a student at the University of Washington back in 1997. Now, we have a bigger problem of XDR typhoid. We have estimated tens of thousands of XDR cases in Karachi and Hyderabad alone. 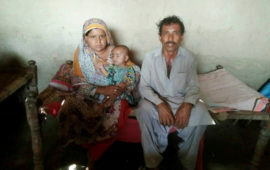 LAURA: How has FELTP been involved with the current XDR typhoid outbreak in Pakistan? DR. ASGHAR: When Aga Khan University (AKU) identified its first twenty cases in 2016, they reached out to the Sindh Province health department. Because FELTP has Disease Surveillance and Response Units in all Director General Health Offices, the FELTP fellows became leaders in active case finding. They became the XDR typhoid hunters. That is how more cases were identified, and with AKU’s help, the cases were diagnosed as XDR typhoid. 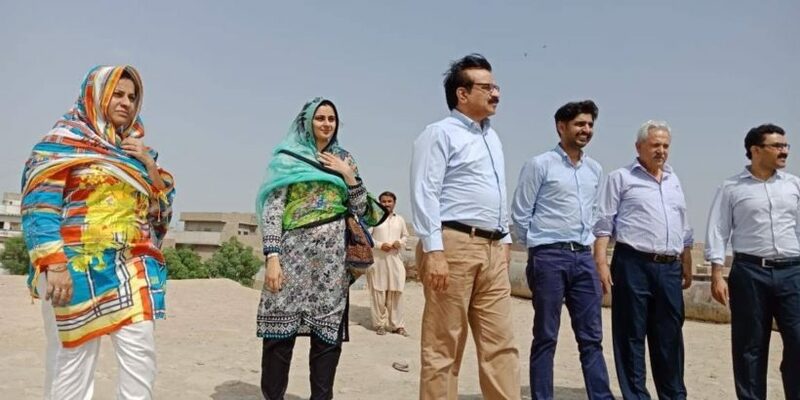 FELTP fellows in both Karachi and Hyderabad then set up Pakistan’s first and only typhoid surveillance system, which allowed government and international partners to assess the situation on the ground more reliably. Currently, FELTP fellows are working on epidemiological studies to estimate the morbidity and mortality of the outbreak. Much of what we know at this moment on typhoid epidemiology in Pakistan is because of FELTP. LAURA: Why do you think it is important to strengthen local capacity for epidemiology? DR. ASGHAR: The value of disease surveillance systems needs to be on par with military intelligence. In a country such as Pakistan, it can take years to see the fruits of investments. 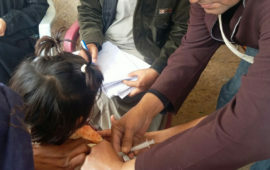 FELTP Pakistan has shown the value of a long-term approach, not only with XDR typhoid but also with setting up a polio eradication program for high-risk areas and investigating emerging and drug-resistant diseases. LAURA: What do you think is the way forward for taking on typhoid in Pakistan? DR. ASGHAR: From going to ground zero of the outbreak and talking with people there, I believe solutions are simple but still not a priority. Vaccines are the most important public health tool, especially in a country such as Pakistan where XDR typhoid is raging with full steam. The value of vaccines in endemic countries requires immediate action. Countries should roll out typhoid conjugate vaccine in routine immunization, and improvements in field epidemiology and surveillance will help use resources effectively. The basic issues of clean water and sanitation have to be fixed, too, in parallel with vaccination and surveillance. I have seen in my career that many health problems, including typhoid, can only be solved by strengthening public health. There is no other option. For more information about global Field Epidemiology Training Program efforts, visit the CDC website.